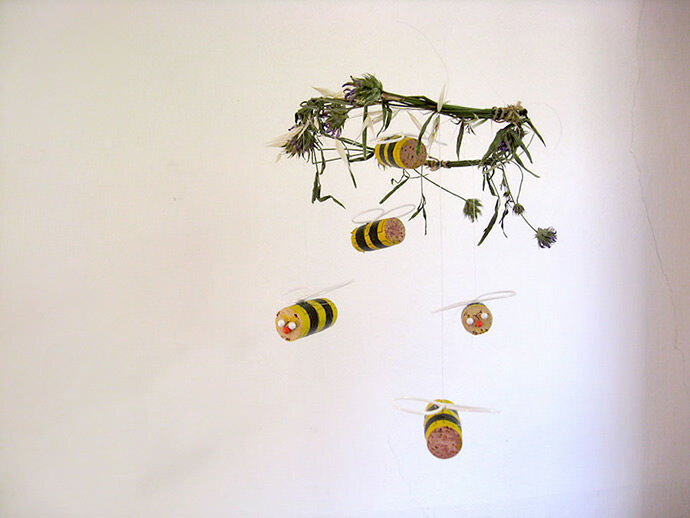 Let’s make an eco-conscious project to celebrate bees! 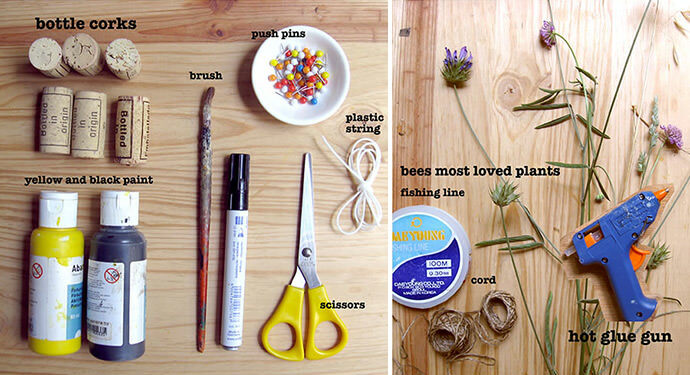 This fun activity helps kids learn about the importance of bees, to love and protect them. 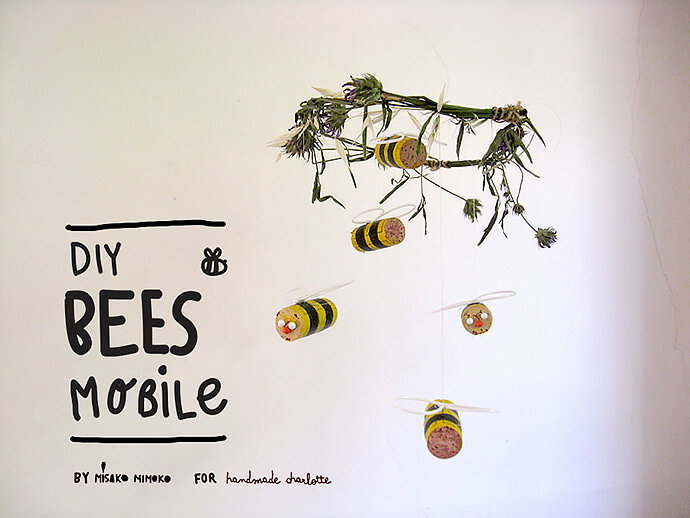 The mobile is very cute and easy to make, and you’ll enjoy watching the bees fly. You can start by checking here or here to learn about bees’ favorite wildflowers and plants, and then choose whichever plants you prefer to use from your garden or other outside source. Lavender, mint, and thyme are great smelling options, or you can pick any wildflower you prefer. I picked some beautiful purple cornflowers. 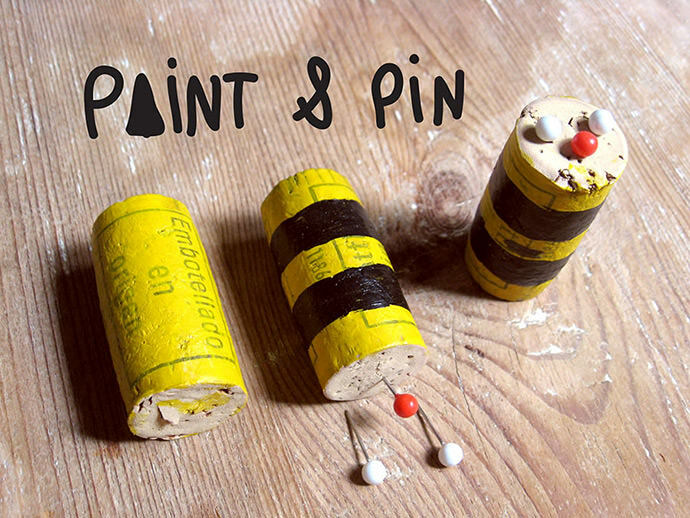 Paint one of the wine corks yellow. After it has dried, paint two black stripes around the cork. 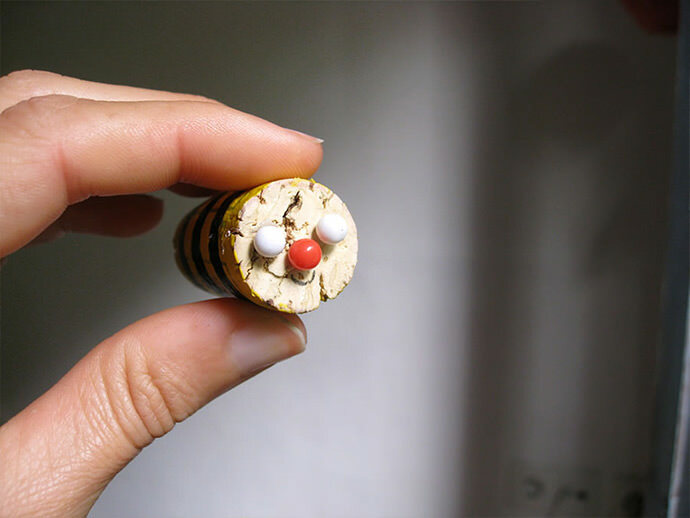 Stick one red pushpin into the cork top for the nose and then two for the eyes. 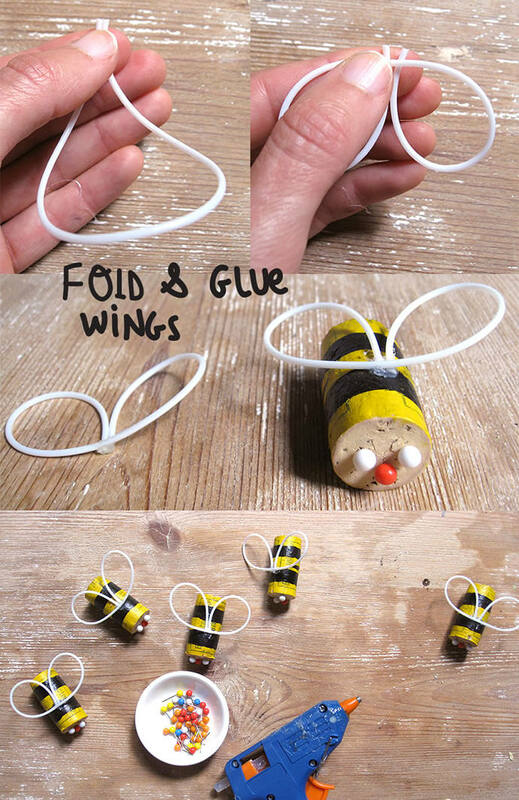 Fold an 8 inch piece of plastic lace string, and then bend and glue the strings centered on top of the bee’s body to make the wings. 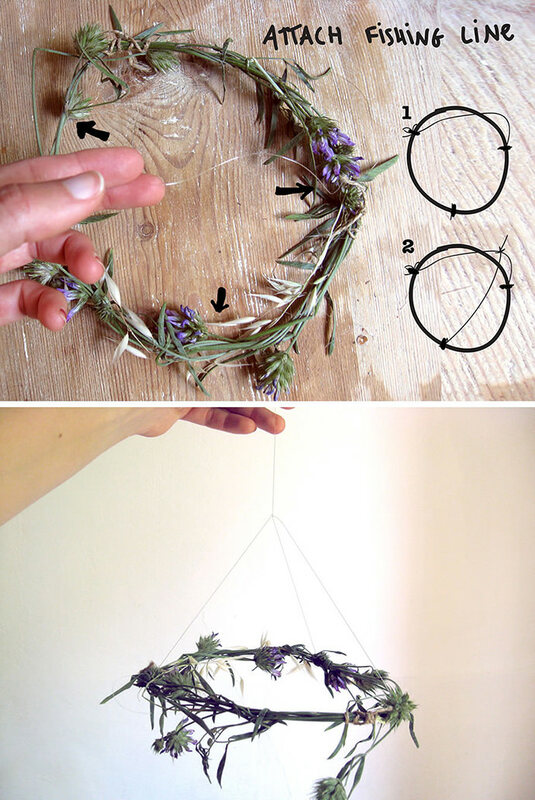 Take your wild plants, bend and intertwine branches to make a circle. String to fix ends. 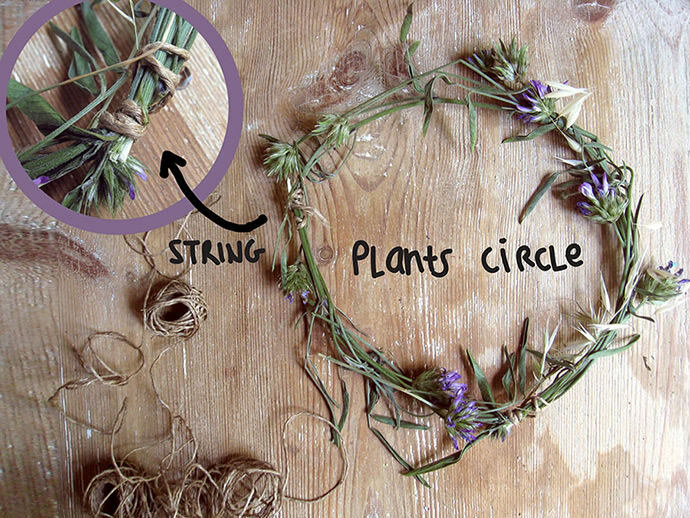 Divide the plant circle into three parts and tie one strand of fishing line to each point. Leave one of them long enough to hang the mobile. 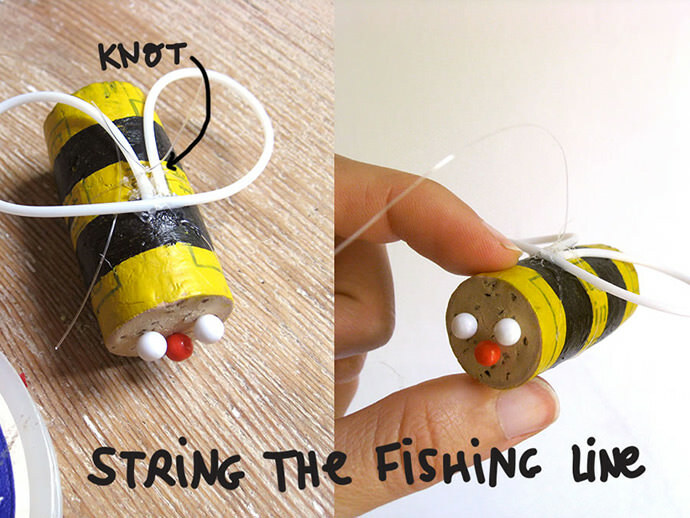 Tie a strand of fishing line to each cork bee. 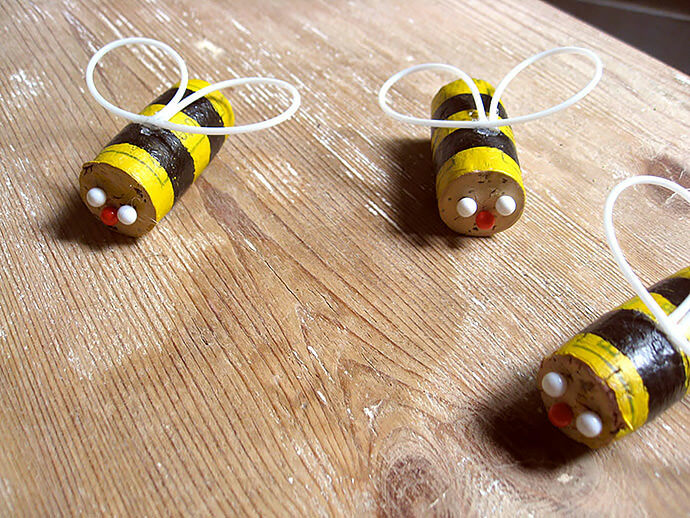 Now let’s add our bees to the plants! 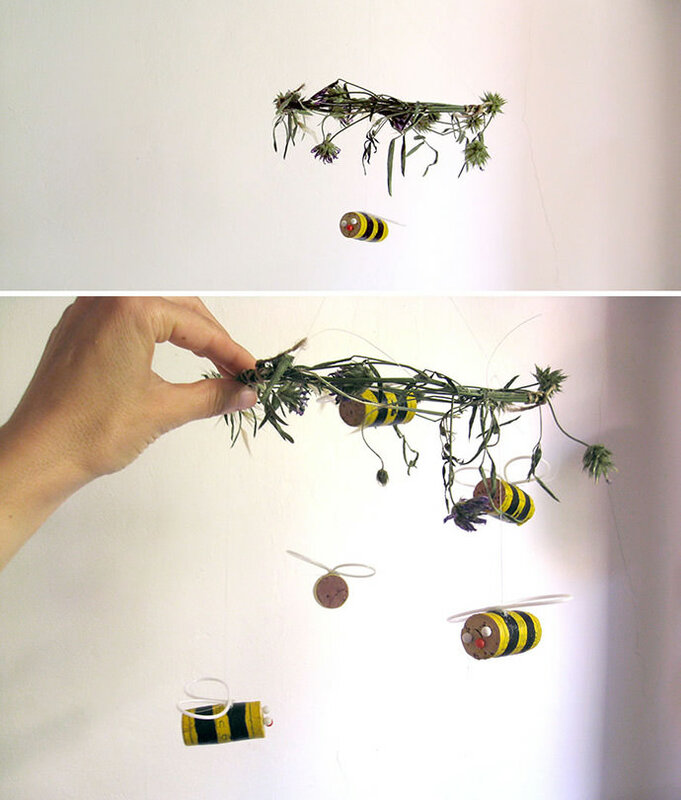 Hang the plant circle from the ceiling and tie all the fishing line with the bees. I prefer having the bees at random heights. 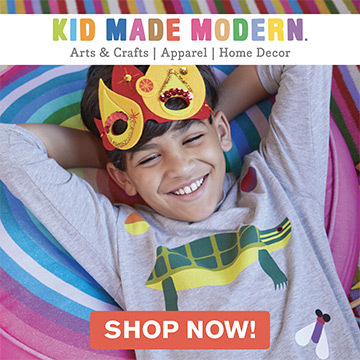 That’s it, enjoy your new mobile! Oh so cute! And a super way to talk about the importance of bees. Aw, oh my goodness, they’re so cute! 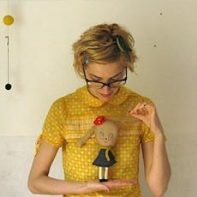 Love this project! Adorable! Love this idea. I would have never thought of using corks.